Video has the added ability to be personalized and hyper-focused; which only reinforces its position as the most engaging format. With bidirectional communication being an important aspect of our digital age, brands often receive high praise for personalized and localized messages. However, personalized videos have not always being practicable, and that is what Sezion wanted to change. 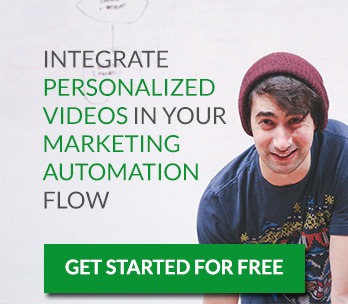 Sezion has developed new tools to help brands generate many different personalized and individualized videos for their customers from any content feed. Sezion’s solution allows companies to enhance their social media campaigns with personalized videos directed at specific individuals or created from specific data sources. Ask for a free Demo and Consultation here. For example, Incuentra, a B2B directory and lead generation platform, has an individual webpage for every company that contains information about it and multiple photos of it. Sezion automatically consolidates all of this information into one comprehensive video about every company without requiring any work. Localization also used to be a burdensome addition to advertising campaigns. However, elite digital brands understand that localization is a crucial component of digital bidirectional communication. Localization and personalization are valuable assets to any advertising campaign looking to separate itself from boring mediocrity. Learn more about localization and personalization, download our free eBook. Localization is important if organizations want to effectively market their offerings to the global marketplace while still being able to maintain brand consistency. Econsultancy’s Darin Archer called video “the new JPEG;” so if a photo can speak a thousand words, then video must be worth a couple million, especially if it goes viral. Personalized Videos, Web video bidirectional communication, localization, personalized advertising, personalized video. permalink.